Tyres are the key components of a vehicle and play a vital role in ensuring its optimum performance. With the right set of tyres, you get a better grip to enjoy a smoother and safer ride. However, have you ever wondered what exactly happens to old car tyres after you have replaced them with new ones? Are you aware that used tyres are an environmental concern? Discarding tyres in an eco-friendly way is absolutely necessary to prevent it from being a source of pollutants. The number of vehicles is growing and this indicates a rise in the number of tyres too. The fact that used tyres pose an environmental challenge makes it important for every car owner to be aware of where the tyres end up. There are hazards associated with irresponsible disposal and dumping of old tyres. Creating awareness and having knowledge of the right methods can help in reducing the environmental impact and paving the way for disposal in a sustainable manner. Every year in Australia, approximately 48 million tyres are discarded, out of which only about 16% is recycled. The rest of the tyres are either dumped illegally, exported or disposed off in landfills. The fact that irresponsible disposal leads to serious environmental and health hazards makes it necessary to adopt measures to improve the existing situation. The disposal of end-of-life tyres in landfills leads to clogging and becomes a breeding ground for insects. There is also the risk of leaching of chemicals and the release of harmful gases. However, the good news is the presence of an established government-approved structure to deal with the problem of tyre disposal. 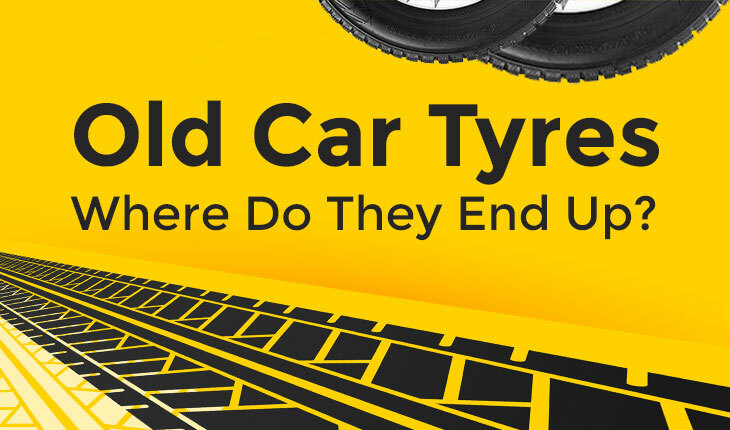 In 2014, the Tyre Stewardship Scheme was put forth by the Tyre Stewardship Australia. The scheme has been approved and authorised by the Australian Competition and Consumer Commission. The primary objective of the scheme is to encourage sustainable disposal and reduce instances of irresponsible disposal methods. Moreover, TSA is also working towards increasing tyre recycling to reduce the negative impact on the environment and converting a waste product into a valuable resource. The scheme involves tyre industry stakeholders and every other body dealing with anything tyre-related like fleet operators, vehicle and tyre retailers, tyre importers, tyre recyclers, local government and tyre collectors. The scheme is also supported and backed financially by renowned names in the tyre industry like Continental, Michelin, Goodyear-Dunlop, Toyo, Yokohama and Pirelli. With the regulations in place, the problem can be minimized to help ensure a healthy and green environment for the present and future generations. Make sure that your old tyres are disposed responsibly or recycled. The potential to recycle is limited but will grow after the scheme is fully implemented. However, there are recycling centres located across Australia that accept old tyres for a fee. Maintain your tyres to prolong their use. Perform regular checks to ensure that the tyres are well-inflated and have the right wheel balance and alignment. If you are unsure about the right tyres for your car or have queries about maintaining them, feel free to take the help of our experts at Mobile Tyre Shop. Although we are in the initial stages of developing a tyre recycling system in Australia, every effort makes a difference. With the Tyre Stewardship Scheme, there will surely be important changes in this direction in future. Are you planning to replace your tyres and looking for a way to ensure that it is disposed in an eco-friendly way? At Mobile Tyre Shop, we can assist you with all your tyre replacement needs. We supply the world’s best brands and models of tyres at competitive prices. Our service includes fitting and computer balancing, new valves and weights, and removal of your old tyres for environmentally-friendly disposal. With our service, you get to enjoy convenience while making a step towards protecting the environment. We can also help you with any concerns or queries that you may have about your tyre. Request a free quote and we will get back to you to book a time and location that best works for you. You can also Buy Tyres On-Line and Book a time. Our technicians will come to you to change your tyres. We are available from 7:00 AM to 7:00 PM on all 7 days of the week to assist you. Call Us on 1300 687 000.